Sportiness, more body control with more ride comfort and outstanding looks. With adjustable rebound stage damping. 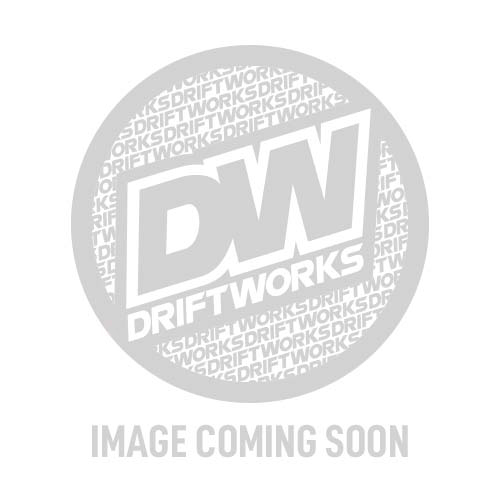 KW V2 - Variant 2 inox Coilovers - Sportiness, more body control with more ride comfort and outstanding looks. 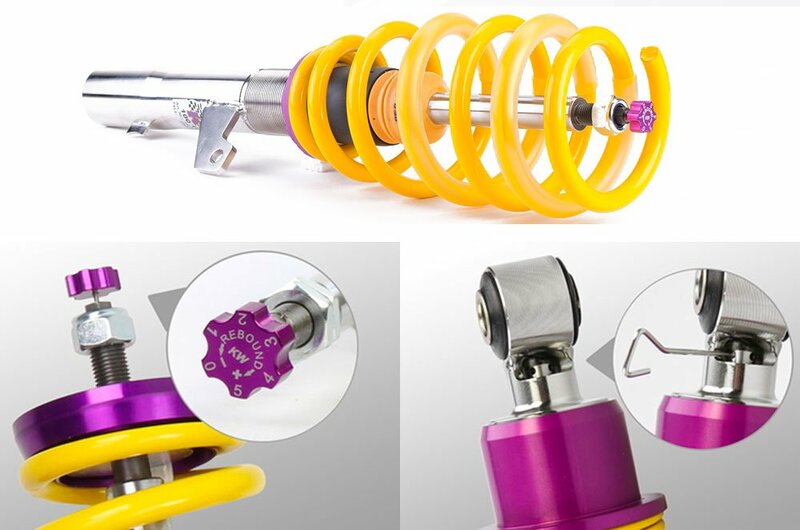 With adjustable rebound stage damping. 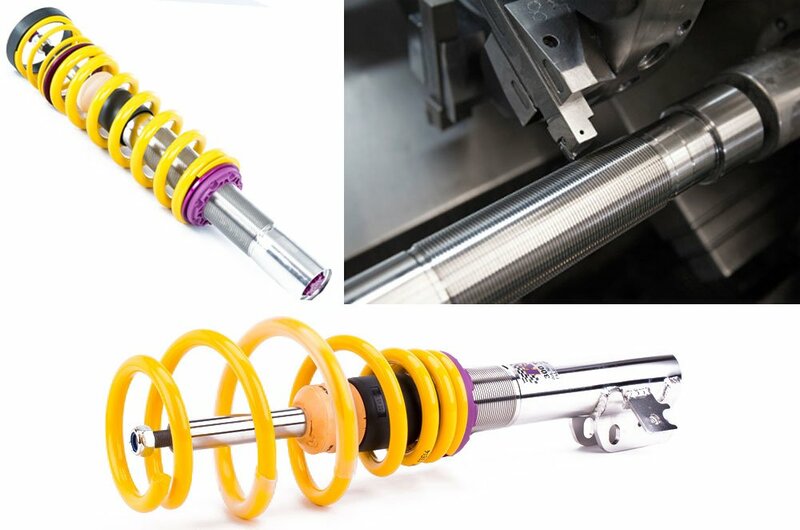 The KW Variant 2 coilover suspension kit is a great choice for an accomplished driver who wants to customise ride height and basic damping adjustment.The individually adjustable rebound stage damping allows easy 16 click rebound damping adjustment to fine tune the performance to comfort bias.